What to choose for your eCommerce website development? The first thing that comes to your mind while planning to develop an eCommerce website is the platform to be used. Shopify and Magento are the two biggest platform currently that are widely used for eCommerce website development. Goodyear, Paul Smith and Lacrosse are the popular example of magento websites. While we have Shore Projects and Toyshades developed using Shopify. Shopify is a commercial platform while Magento Community is a free, open-source software. 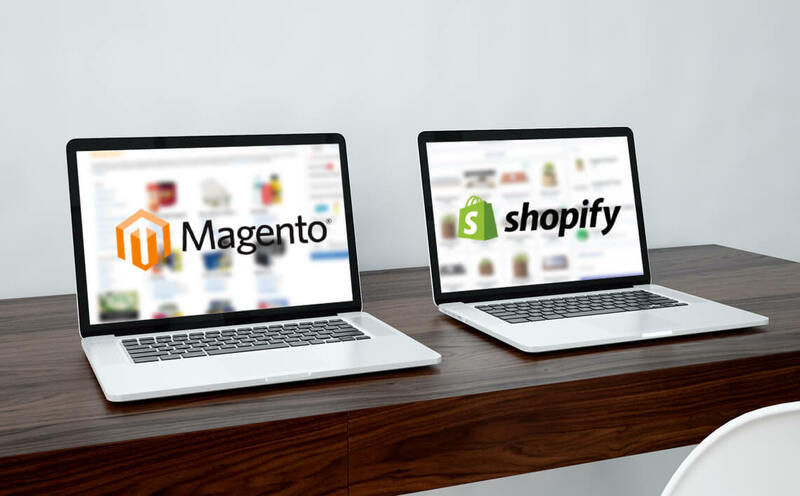 Shopify is a hosted solution while Magento requires you to provide your own hosting, install, setup and configure everything before you can actually start creating your store. Apart from these two major differences, there are numerous identifications of the features that differ these platforms from each other. Basic online store functionality – Shopify and Magento, both offer basic online store functionality that are fairly easy to use and maintain on an continuous basis. However, Shopify is comparatively easier to set up than Magento. 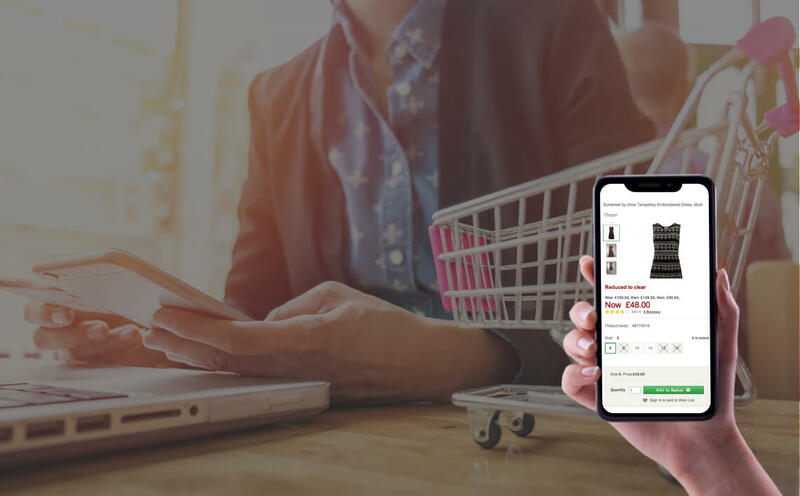 Calculation of shipping charges – both platforms allow flexible and powerful options for calculation of shipping charges which is one of the most basic and essential aspects of selling physical goods via an ecommerce storefront. Payment gateway options – Magento supports a lesser number of payment gateways compared to Shopify. However, more gateways can be added to Magento website via third-party add-ons. Themes and Templates – Magento and Shopify offer a large collection of themes and templates. While the number of free themes provided by Shopify is less than that provided by Magento. Responsiveness – People are not always on their desktop or desk, but they sure are on their phones. Responsiveness is a must-have attribute that an eCommerce website needs to have. Shopify and Magento Community offer a good number of responsive templates, free as well as paid. Multi-lingual capabilities – Magento is advanced in terms of providing built-in multi-lingual support. While with Shopify, you can create custom code or adopt a third-party apps. Customization capabilities – An advanced interface that allows you to edit the raw HTML/CSS code directly to give you total control over the design and the look-and-feel of your Shopify or Magento store. However, Shopify attributes advantage over Magento by providing a simple, menu driven method to change the basic attributes of your store such as fonts, colors etc. very easily while with the customization capabilities. Shopify and Magento both come with a user interface that is well designed. Shopify, however, has a wizard mode that allows even the neophyte users to set up their own eCommerce website which lacks in Magento. Also, since Magento is not a hosted solution, procuring your own hosting and setting up your store with it are processes that typical end-users would not find easy or convenient to do on their own. Magento is an open-source stage that gives user significantly greater adaptability as he can transform it the way you need to. Shopify can’t be transformed much. LetsNurture has a wide range of features to offer when it comes to eCommerce website development. With skilled Shopify and Magento developers, we ensure our clients to deliver the best of the expected solution. Selecting a platform is the beginning towards your eCommerce website development plan. There are other factors that matter while making your online store idea a success. For further queries, write to us at info@letsnurture.com.